Cole Custer started 14th, finished 10th. Earned one bonus point. 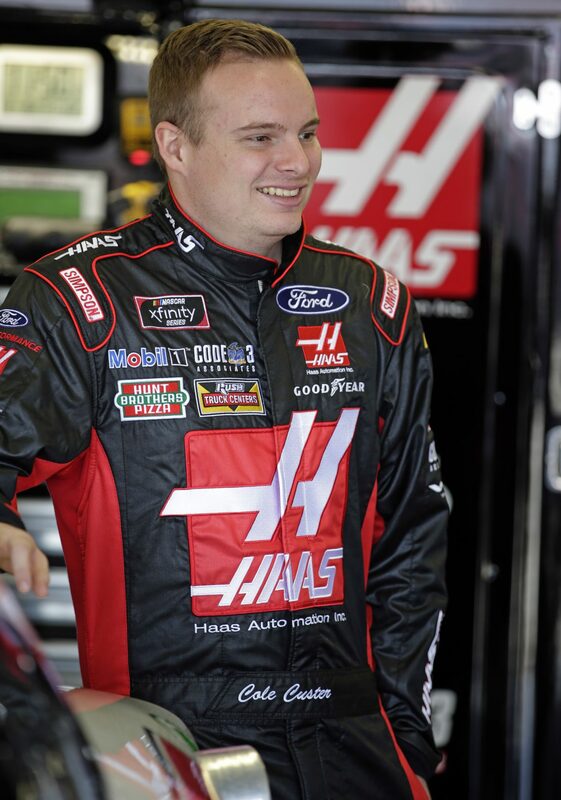 Custer piloted the Haas Automation Ford in and out of the top-10 throughout the stage. With two laps to go, Custer found a push from the rear sending him to the seventh position. Custer pitted for four tires, fuel and chassis adjustments at the conclusion of the stage. Custer battled inside the top-15 for the majority of Stage 2 while noting tight-handling conditions. At the conclusion of the stage, Custer pitted for four tires, fuel and adjustments. On lap 79, Custer powered the Haas Automation Ford Mustang to the ninth position. During the lap 83 caution, crew chief Jeff Meendering radioed Custer in for a fuel-only stop. He restarted in the ninth position. Custer was involved in an accident on lap 99 causing splitter damage on both sides. He pitted for damage repair five times during two caution periods and remained on the lead lap. After numerous cautions pushing the race 23 laps past the scheduled distance, Custer survived the late race chaos untouched and battled in and out of the top-10 before finishing 14th at the checkered flag. The 14th-place finish was Custer’s highest finish in the NASCAR Xfinity Series at Daytona (Fla.) International Speedway. Custer is 24th in the Xfinity Series Playoff points standings. 12 cautions slowed the race for 49 laps. The race went 23 laps past the scheduled 120-lap distance. Tyler Reddick won the Powershares QQQ 300 to score his second career Xfinity Series victory, first of the season and first at Daytona. His margin of victory over second-place Elliot Sadler was .001 seconds. The next event on the NASCAR Xfinity Series schedule is the Atlanta 250 on Saturday, Feb. 24 at Atlanta Motor Speedway. The race starts at 2 p.m. EST with live coverage provided by FS1.